About a month back I had to set up a new online store for the Radical Doula Guide, as my old one decided to no longer offer the service. You can now order copies of the guide here. Same deal, similar credit card processing, new look and URL! I’ve sold over 1100 copies since it published a year and a half ago. I’ve been blown away by the interest and support for it–so a major thank you to everyone who has bought a copy, or suggested it as a resource. I sincerely hope it’s been of use. I have about 300 copies left. Haven’t decided what I’ll do when they run out–whether I’ll order a new run to keep selling print copies, create a digital version for download, etc. But if you have been wanting to get a copy, now is a good time to order one. 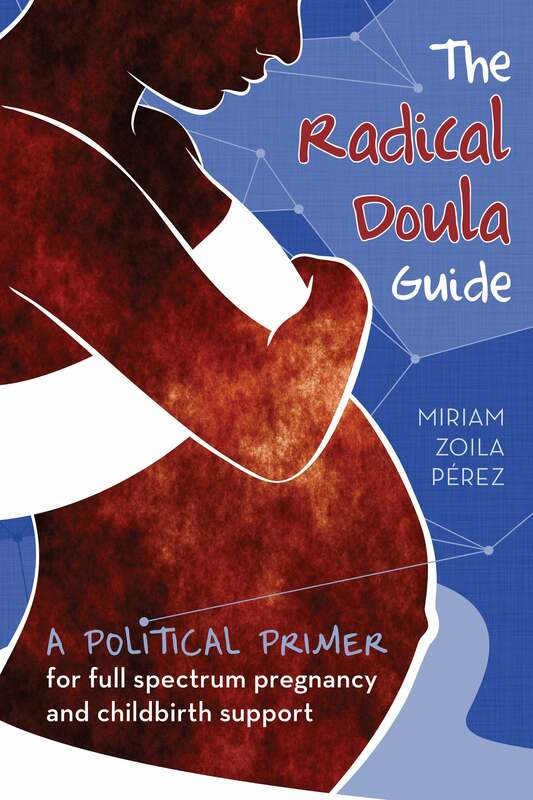 If you have links to the old Radical Doula Guide store on your website, consider updating them. This page is a good reference as it will always be updated with the most recent information. Sorry to hear that sistamidwife! Some people have had trouble, but the order has still gone through. For an alternate option, you can send payment via paypal (miriamzperez@gmail.com) and I’ll send you a copy. The cost is $12 plus $2 for shipping anywhere in the US. If shipping internationally, or you want more than one copy, email me for pricing details.